Don't worry, it's not a real fight, it's not even the title of some new reality show on MTV (although I can just about picture it, can't you?). It's about the qualities that go into making some women into 'icons'. Are some types more successful than others? Remember that game "rock-paper-scissors"? Well it's not really relevant here other than to demonstrate that success is relative. So forget the rock-paper-scissor analogy which could be misleading and let's instead take a look at two extreme types that I'm going to call Diamonds and Butterfly Wings. 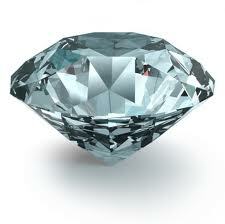 Diamonds owe their success to a lifelong determination, absolute focus, discipline and dedication to their objective. These ladies get what they want. It may not always be pretty or romantic, but they get there, and they commit such effort to the enterprise that at the end of the day - whether or not you agree with it - you've just gotta take your hat off to them. By Golly they've earned it. Madonna is a Diamond. Butterfly Wings on the other hand owe their success to their sheer beauty and fragility (and I have to admit, in some cases, to a certain talent for emotional manipulation). They often seem to become successful in spite of themselves. If the Diamonds are the high priestesses, then the Butterfly Wings are the sacrificial offering (on the altar of Fame - if we want to be thorough and complete the metaphor). Marilyn was the archetypal Butterfly Wing. What about Princesses? Well what about them? What is a princess anyway? I keep seeing these signs on the back of cars "princess on board" and it makes me wonder... whatever happened to tradition: Rolls Royces and horse drawn ceremonial carriages? By definition (my definition) a princess is someone who gets to be as special and beautiful as bride on her wedding day, every single day of her life. Look it up, you'll see it's part of the job description. Just below "must be able to walk with a shiny crown on her head" and "must be able to perform the royal wave whilst sitting in a golden carriage". Have a look I tell you! Or just take my word for it. Catherine Middleton, or 'Kate' as everyone who's never met her insists on calling her, a soon to be princess, is a Diamond. Very pretty, very personable (from a distance, as I said I've never met her nor do I know anyone who's ever met her. If we're talking degrees of separation, I'm closer to Madonna). I think Kate would have done very well at anything she set her mind to so she'll make a fantastic princess. She seems nice. Someone you'd want to know. Doesn't she give you the feeling that she will make her soon to be husband a very happy and contended man? That they will be married for - like - ever. And have a zillion children like Victoria and Albert? (Queen Victoria, not Posh who's with someone called David, not Albert. I'm not about to start any false rumours.) Where was I? Kate will make the perfect wife and consort, because she knows what she wants. She is stable, she is strong, and she has a lot to give. She will probably endure and live to a hundred and beyond. She's like the 21st century's answer to the Queen Mother. A true Diamond I tell you. Like one of those big jewels on the Monarch's crown. Precious, shiny, and indestructible. Although she photographs beautifully and will give British women a sense of style the rest of the world can aspire to, she does not steal my heart. You see, I like Butterfly Wings. I know. I KNOW. What's wrong with Diamonds? Nothing. The thing is, I liked Princess Diana. She too was beautiful and photogenic. She too became a style icon. But like Marilyn, there was such a fragility to her, her light shone so bright you just knew it wasn't heading for a happy ending. She was riddled with flaws but it seemed to make use love her all the more for it. She lived without a safety net which made the stakes that much higher. (And as any actor worth their salt will tell you, the higher the stakes the more rivetting the performance.) We watched her soar high up into the sky, far beyond anyone else's reach. And then we watch her plummet to the ground, like a shooting star. I'm not saying that one type is better than another. And as I said, I like Kate. But I loved Diana. In the battle of the Princesses, I know which side I'm on. Very nice post. You have a talent for explaining, with simple and beautiful words, what is usually so hard to define. So where do you stand? Why is fragility so loveable? I think Princess Diana's appeal had to do with her vulnerability. @MuMuGB: because fragility is not threatening? Because it makes us feel strong? Because we associate it with childhood and babies? @Elizabeth:indeed. I remember those early pictures when they where first engaged and she was just a teenager really. Great post! I can see the appeal of fragile and tragic beauty, but for me I prefer to appreciate that kind of loveliness from afar. I'm afraid to reach out and touch breakable things. I love a good shoe fetish! Welcome She Writer Blogger Ball Redux!